Last year, some women in France complained that an obstetrician had used Cytotec to induce labour, that it had been very painful and that they had had a lot of side effects. This is an off-label use, possibly a common use, of misoprostol – for induction of labour. There has been at least one legal action in France in which the claimant delivered a handicapped infant after her labour was induced with misoprostol. Pfizer had to pay damages. 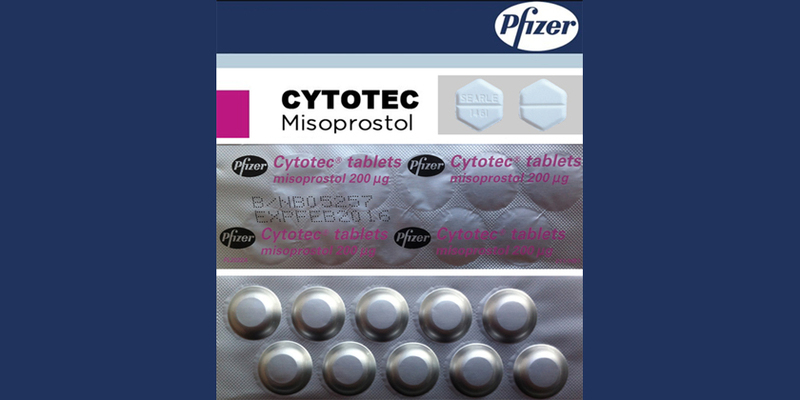 It is important to state for the sake of other countries that there has been no complaint about the use of Cytotec for medical abortion in France. The problem seems to be that a dose of 200 mcg of misoprostol is apparently being used for induction of labour, because the marketed tablets come in that dose only. However, the WHO Model List of Essential Medicines (2017, p.46) recommends using 25 mcg vaginally for induction of labour, with certain conditions. Yet it would be impossible to cut up a 200 mcg tablet accurately to achieve such a dose. The underlying question is: why is Cytotec not registered in France for inducing labour, and why is it not registered for medical abortion either. It has been used widely in France for medical abortion since 1989, just as it is being used worldwide for that purpose. Why has Pfizer not registered both indications, when they have been making money from both for a long time. But there is more. The Ministry of Health in France is not happy about off-label use of medications generally. In 2013, it was found that at least 500 people had died when a weight-loss drug meant for overweight diabetics had been prescribed off-label to thousands of healthy women. Whether the Ministry of Health has pushed Pfizer in the current instance, or Pfizer took the decision alone, has not emerged. But there is no reason why Pfizer can’t provide a label for 200 mcg medical abortion use, and indeed also for induction of labour with 25 mcg if they wish to do so. Hence, some people suspect they are using this situation as an excuse to stop producing the medication at all because they are “uncomfortable” with abortion. This may not be a problem for women in France who want a medical abortion, since there are other brands of misoprostol available, but that may not be the case in other countries, such as Brazil, where a complicated situation could become even worse, as Le Monde reports. So let’s hope Pfizer limits the damage to France.